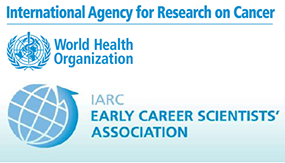 Registration and abstract submission are open for the 6th ECSA Scientific and Career Day held on Thursday 23rd May 2019 at IARC. 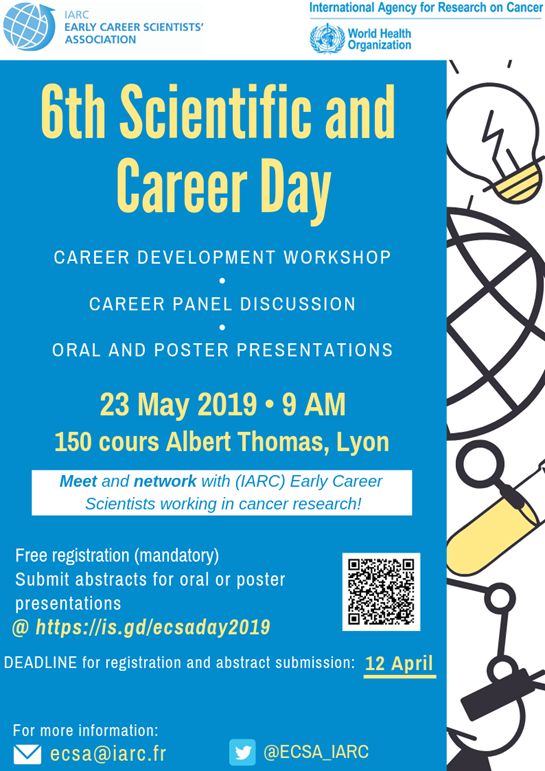 ECSA Day is a day filled with exciting scientific presentations as well as interactive seminar sessions focusing on career development for early career scientists. We are very happy to invite PhD students and Post-Docs in cancer research in the Auvergne-Rhône-Alpes region. If you would like to participate in ECSA Day, please register by Friday 12th April via https://is.gd/ecsaday2019. After registration, you will have the opportunity to submit an abstract for an oral presentation (approx. 8 minutes) or a poster. You can submit it at the same time or return at any time before April 12 using the code that you will receive when registering. Although we encourage participants to present their work either as a poster or an oral presentation, it is NOT compulsory to submit an abstract in order to participate in ECSA Day. We advise you to register as soon as possible as we can only invite a limited number of external early career researchers.